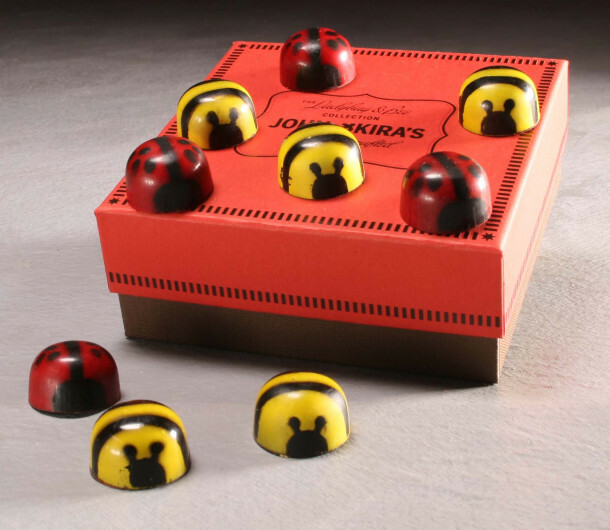 Hand-painted whimsical chocolate Ladybugs (62% Dark chocolate shells filled with cocoa butter, almond and hazelnut praline) and Bumblebees (Basswood honey liquid caramel centers surrounded by a paper-thin layer of cocoa butter.) 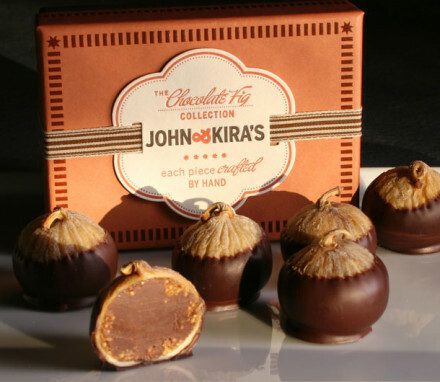 by John & Kira's Chocolates in Philadelphia. 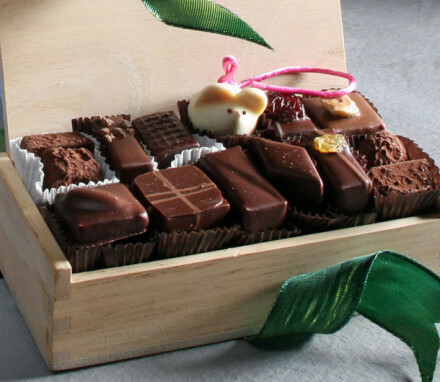 Nine natural beauties, nestled in a red boutique box.